Malta’s oldest, continuously-open Aikido school the Aikido Yamato Dojo has just received another international recognition by none other than the world’s leading Aikido organisation: the Aikido World Headquarters in Tokyo, Japan (Aikikai Foundation). Aikikai Foundation has authorised the Yamato Dojo to be it's local representative school in Malta. The Yamato Dojo will be accordingly changing it's name to Aikikai Malta with permission from Japan. This historic recognition is a first for Malta and promotes the subtle yet powerful Martial art of Aikido in Malta bringing with it connections and opportunities to its practitioners to the highest international levels. Aikikai Foundation is the leading and largest organisation of Aikido practitioners in the world led by the founder of Aikido grandson Moriteru Ueshiba. The authorisation comes after a highly ranked Japanese master visited the island to undertake a technical assessment of the qualities and teaching aspects of the school and instructors. In another first a Maltese Aikido school will have a highly ranked permanent Japanese Aikikai director appointed by Aikikai Foundation. Jun Nomoto Shihan (7th Dan) from Tokyo and directly responsible for technical standards. 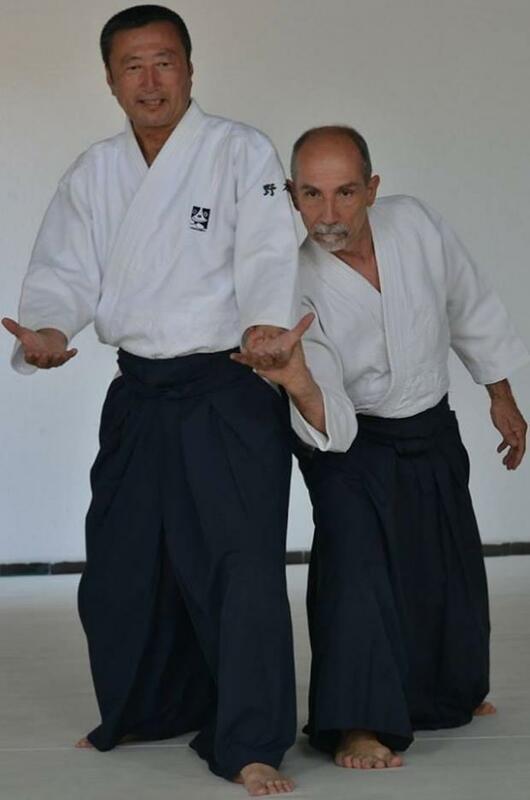 He has over 40yrs of experience in Aikido, is a direct advisor to the present Aikido leader of Aikikai Japan. He is expected to visit Malta for training sessions several times every year. Aikido is a Japanese martial art which utilises the natural and flowing body movements and applies them to physical techniques. Aikido works against violent aggression and self-defence by neutralising an attack without inflicting injury. 'We are delighted and honoured with the authorisation by Aikikai Foundation and the direct connection with it after 25years of Aikido in Malta', said Kevin Bonanno, President of Aikikai Malta. Aikikai Malta can now award to practitioners Aikido certificates that are registered directly with the Aikikai Foundation. The first event of Aikikai Malta is going to be held between April 12 and 14 in Ħamrun. A new beginners’ course is also scheduled in March. Anyone interested, can reach on 9989 9733 or facebook page Aikikai Malta.